STABLECOMFORT™ IS A WALL-TO-WALL WATERPROOF STALL MAT SYSTEM. NOT ONLY IS IT ERGONOMIC, EFFICIENT AND ECONOMICAL, BUT IT IS ALSO ENVIRONMENTALLY-FRIENDLY. 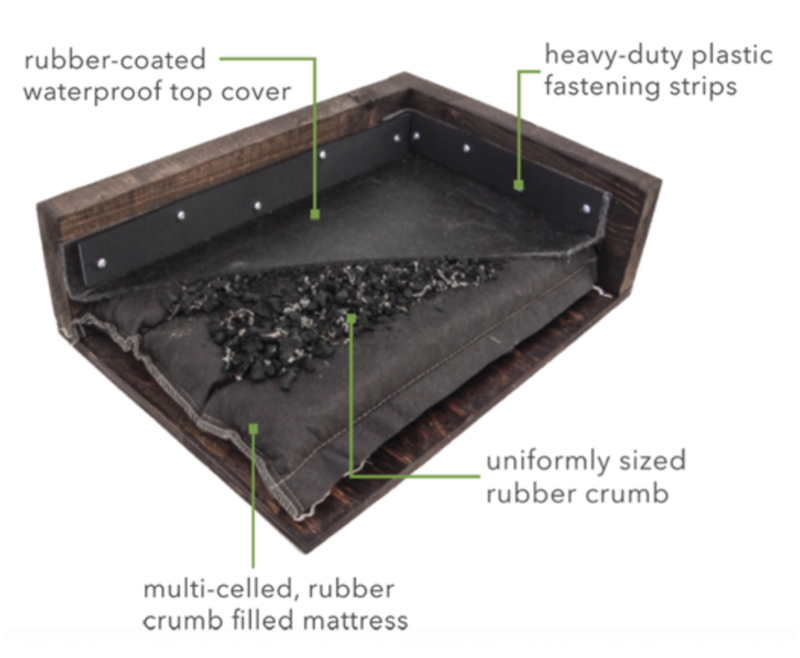 The first component is a multi-celled mattress filled with uniform sized rubber crumbs. The mattress provides soft cushioning and offers optimal comfort. Each rubber crumb is uniformly sized to provide maximum comfort evenly throughout the entire stall. The durable rubber-coated top cover is waterproof and slip resistant making clean up easier and faster.